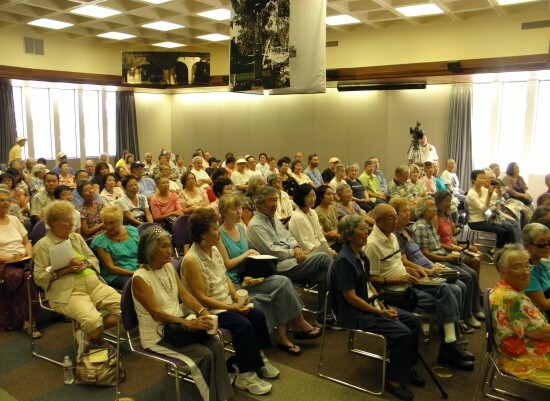 Author Frances Kakugawa read from and discussed her latest book, “Kapoho: Memoir of a Modern Pompeii,” before a full house at the Katy Geissert Civic Center Library in Torrance. Kakugawa was born and raised on the Big Island of Hawaii in Kapoho, which was demolished by lava when she was 18 years old. 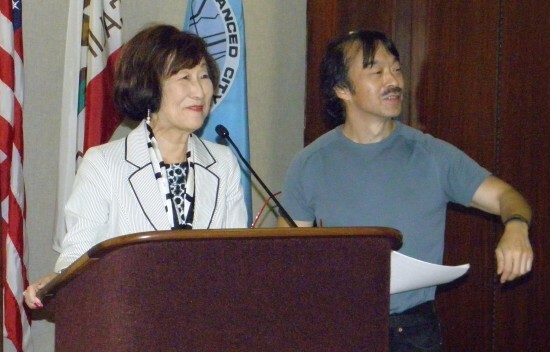 She is pictured with her nephew, Guy Aoki of Media Action Network for Asian Americans, which co-sponsored the event with the Japanese American Historical Society of Southern California. 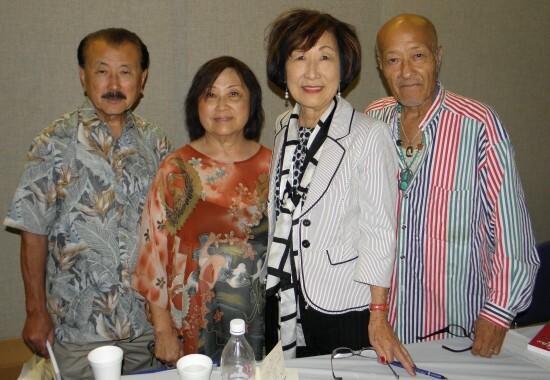 From left: George Nakano and Iku Kiriyama of JAHSSC, Frances Kakugawa, Aki Aleong of MANAA. Kakugawa signed copies of her books. In addition to “Kapoho,” she has written “Mosaic Moon: Caregiving Through Poetry,” a resource for caregivers of loved ones suffering from long-term illness; “Teacher, You Look Like a Horse,” a memoir of her days as an educator in Hawaii; a series of children’s books about Wordsworth, a young Hawaiian mouse; and four books of poetry. 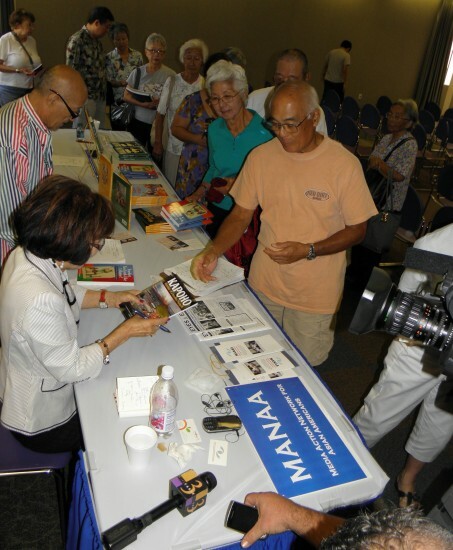 She will also appear on Saturday, Sept. 29, at 2 p.m. at the Japanese American National Museum, First and Central in Little Tokyo.